What is the best way to implement a wraparound world with wraparound horizontally physics in Unity? 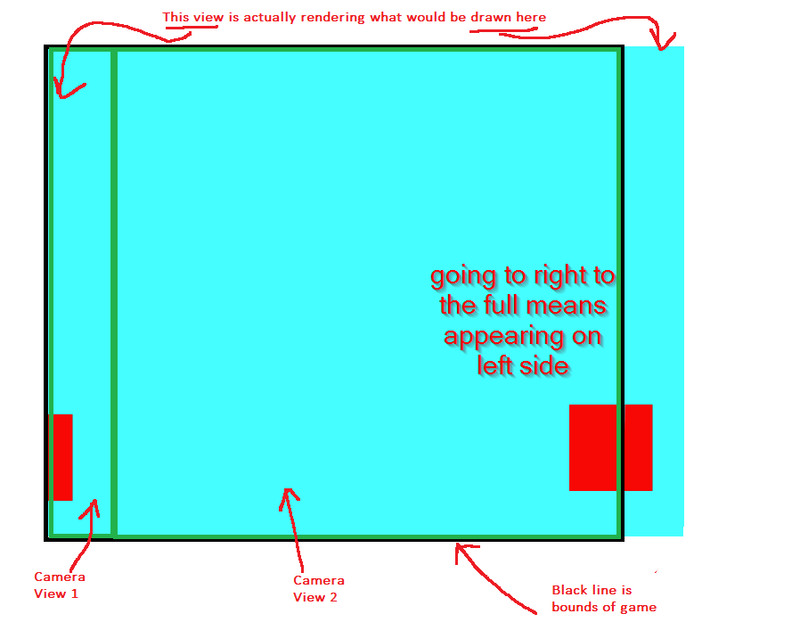 That means that if I have an object and move it so that a part of it sticks off to right (so that the camera does not see it) I would like the part of the object to be shown on left. The same goes for the left side. The best (even though I do not like it at all) implementation I was able to find is to have three objects. One of them is visible for the camera and two others become visible when the middle object goes off the camera. Can you set up multiple camera views that are side by side and seamless? Imagine one view that represents the right most 95% of your game window, and the left view is the other 5% of what's off the right side. Then with two views (and a single camera) you can render the same item twice, and create the wraparound effect. 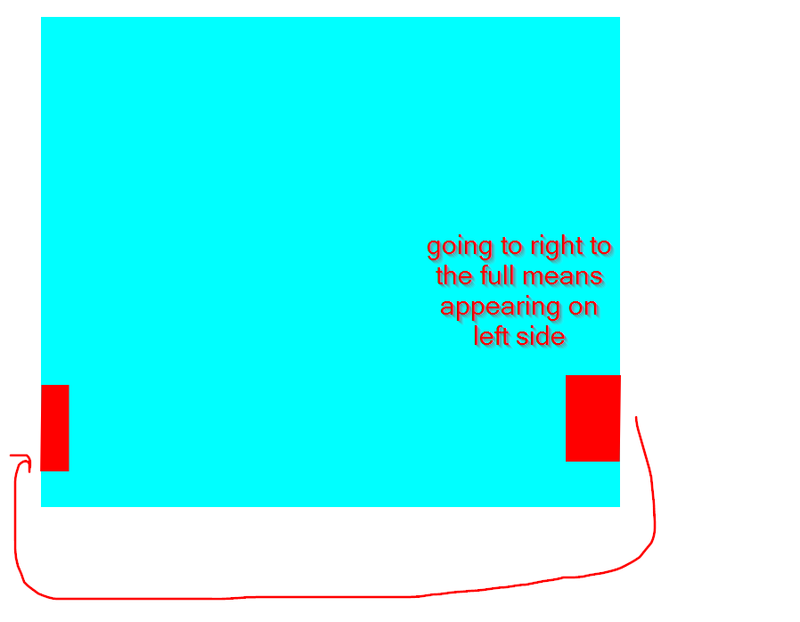 Basically when the object is half off the right, it's also being rendered on the left, because the left view represents what's off the right side of the screen. In the above, the green lines are the views, and the black line is the game screen. Note that it wouldn't be 95/5 really, but based on the size of your object - specifically half the maximum width. If it is 100 pixels wide, your left side narrow view needs to be at least 50 pixels wide. As pointed out in comments, this does not solve the problem of physics and wrap around worlds. To solve that problem, what you need to do is not think of your world (and its physics) using 2D Cartesian coordinates. Instead, you need to model your world with the coordinate system of a cylinder. A cylinder has no "edge" and as such, there is no concept of "wrapping around the edge" at all. Yes, there is one if you try to go off the top, but if all you are concerned about is horizontal (X) wrap, a cylinder solves your problem. 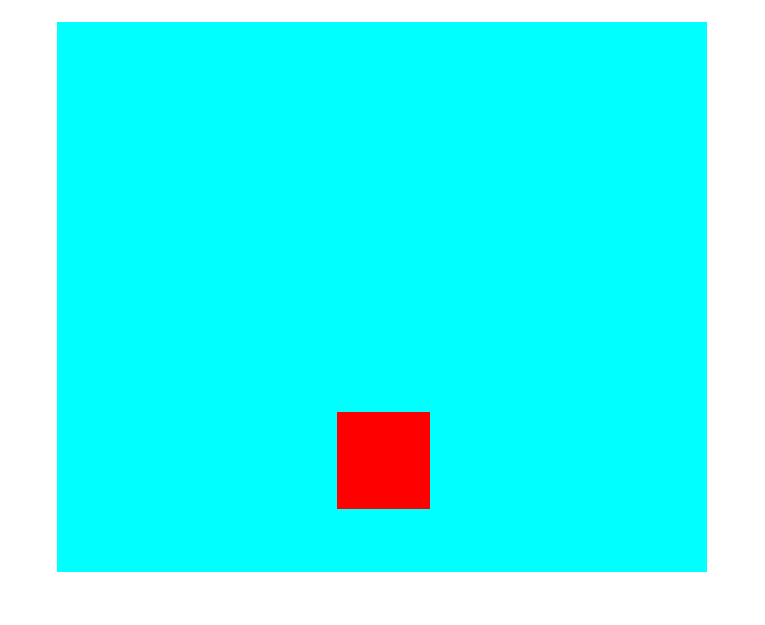 Here's a picture to show the idea of an object on a cylinder, and how you render it (via something like my 2 view idea above) in a 2D space. 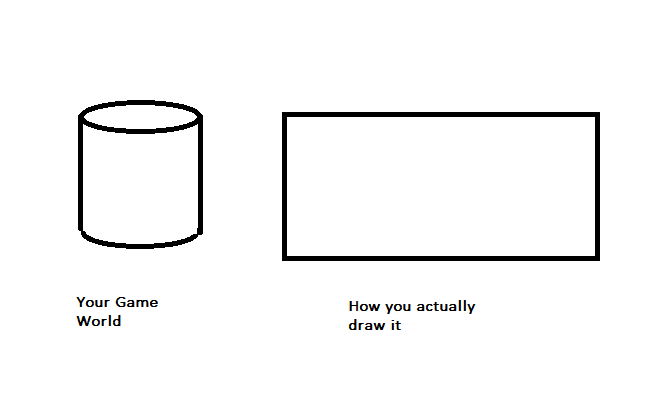 Your only challenge (which I think is valid as a separate question) is, "How do I render a cylindrical world space onto a flat, 2D view port?" Note 1: If if you want to make things wrap around the top, it's going to get more complex. Note 2: I am curious how the old asteroids game (which has wrap around on all sides) handles collisions in this (literal) edge case. Not the answer you're looking for? Browse other questions tagged unity 2d physics camera or ask your own question. How do I render a cylindrical world space onto a flat, 2D view port in Unity? How do I snap the Unity camera to a 2D, tile-based map?